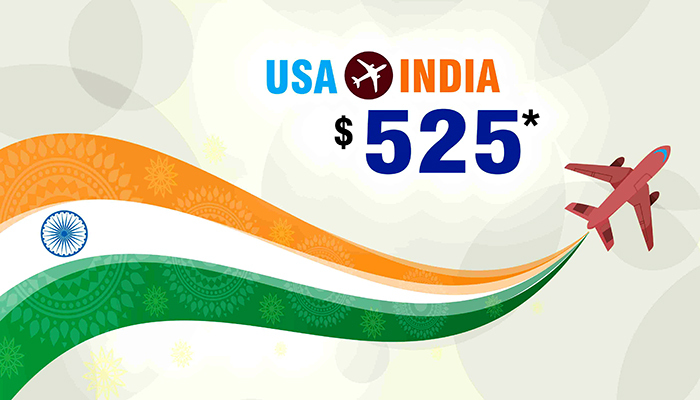 Connect to Flydealfare this INDEPENDENCE DAY and grab the fascinating round trip deals on your traveling to India from USA. You can get all this at an affordable price as the Round Trip starts from $525*. This offer is for limited time period and the booking will be closed by 31st AUGUST 2018. So Hurry Up and don’t miss the tremendous INDEPENDENCE DAY Deals! We work on providing you the best of the best when it comes to airfares from USA to India. So start exploring your favorite Indian destinations in your budget.